Shot these on the way to Montreal. 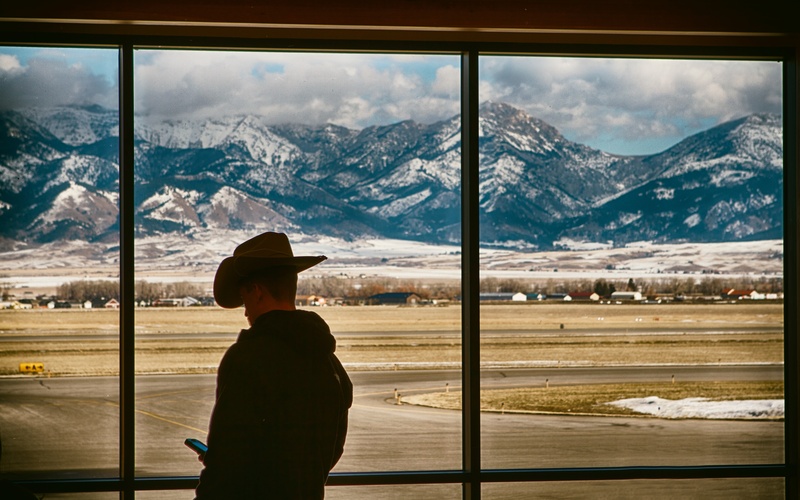 Caught this cowboy checking his cellphone at the Bozeman airport in Montana. 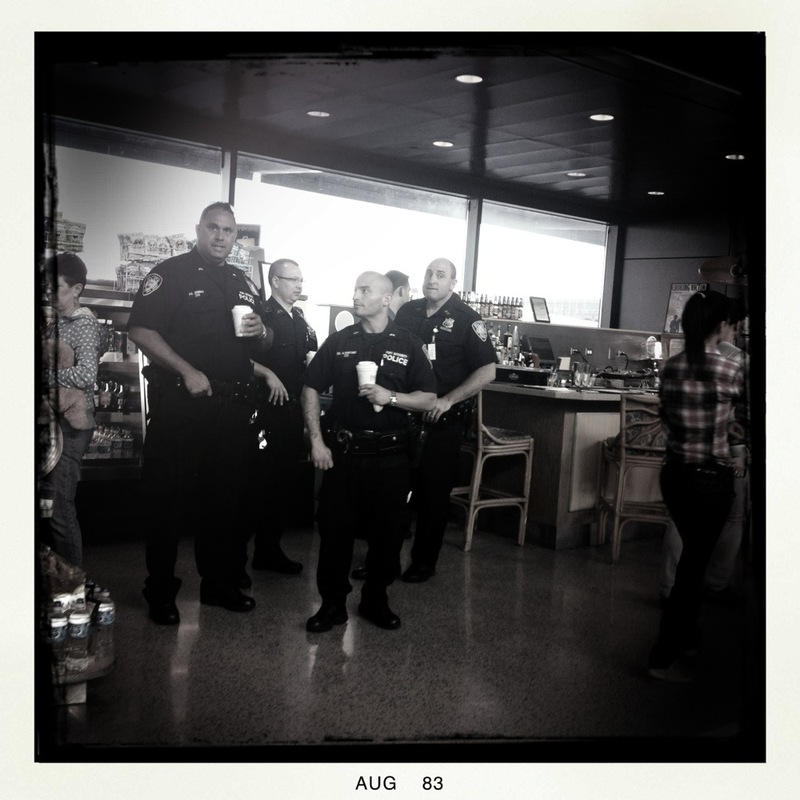 NYPD officers at Dunkin Donuts at JFK airport, enjoying a cup of coffee while keeping us safe. 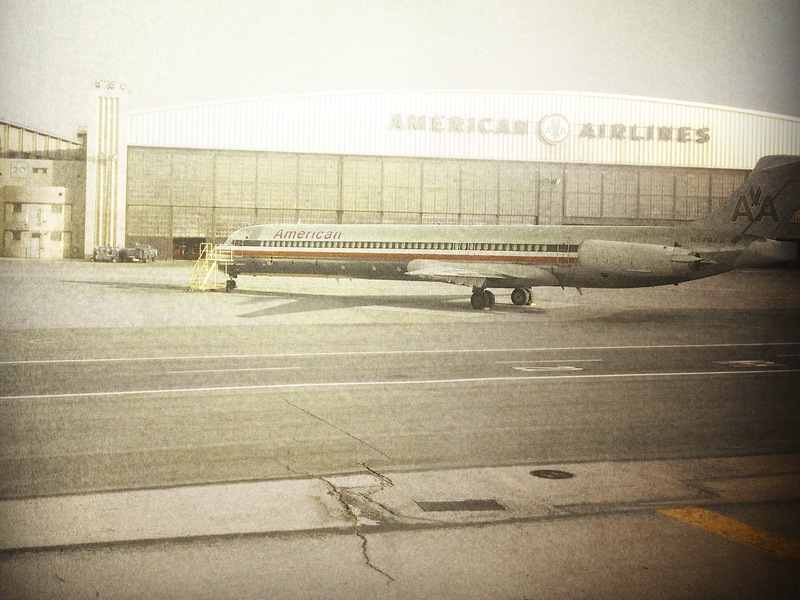 Shot at JFK airport – looks like the airport is in the same shape as the streets in Manhattan. 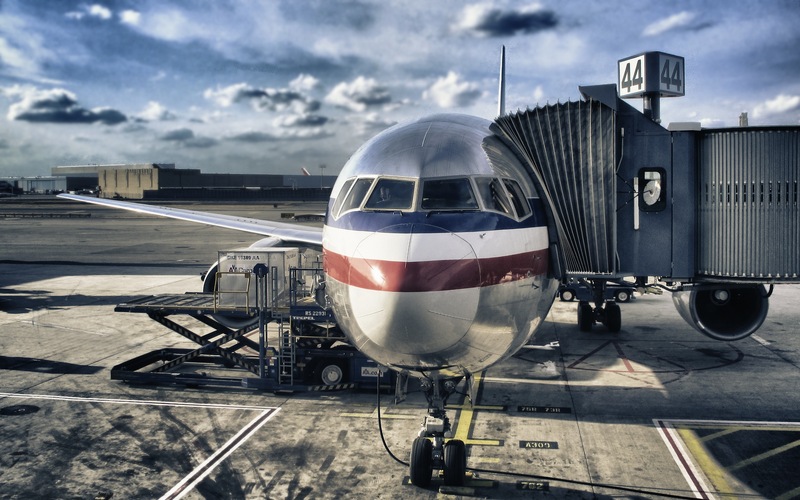 Shot this while waiting for my flight at Hartford Airport.